Search engine optimization (SEO) for financial advisors should at least include optimizing around local search terms. That’s because local keywords are the most targeted terms used by buy-ready prospects searching for an advisor in their local area. See our Local SEO and Google+ Webinar for financial advisors. Yes, it can get competitive to rank well in search engines for these golden search terms, but the key to gaining traffic for local seo terms is claiming and optimizing a Google local business profile, and still only 10-15% of local businesses have even claimed their Google business profiles! With a little bit of work, you may be able to get Google-assisted referrals for years. I show you how to do it at my Local SEO for Financial Advisors webinar. Google has been trying to find ways to make Google+ relevant despite its low adoption and engagement rates compared to Facebook, LinkedIn, and Twitter. Since Google is the king of search, its trump card is to integrate Google+ with search results. And that is what will differentiate Google+ from other social networks and drive new business to early adopters. To illustrate the potential benefits to advisory firms, here’s an example. Say your firm is based in New York City and a client reviews your firm on your Google business page. If someone who is connected to your client on Google+ searches for “financial advisor in New York,” your firm has a greater likelihood of being at the top of the personalized results. It will also list your client, as having reviewed your firm. That’s huge as it’s essentially a Google-assisted referral to that new prospect. Even if the searcher has no connection to those who have reviewed your firm, profiles with many positive reviews usually rank better in search results. Reviews have always been important to Google Places rankings, but Google+Local adds the social element to the mix and can lead to referrals without clients having to fork over the contact info of their friends and family. I’ve always thought the referral-based system for new business that so many advisors and other financial professionals rely on to be far from ideal. Many clients may not feel comfortable putting their reputation on the line by directly referring people, and prospects who get an unsolicited call from an advisor will guardedly approach the first consultation, if you even get that far. I know there are some firms that have a great system for getting referrals and often its because they’re able to re-frame the discussion around the advisor helping the referred rather than the happy client helping out the advisor. But for many new prospects being contacted by an advisor, even one referred by a friend, it feels too much like a sales pitch. That’s because it’s still the advisor chasing after new prospects rather than enabling new prospects to search for and find them. It’s the same reason that traditional advertising has largely failed in recent years while Google AdWords has been eating up the majority of advertising dollars. Prospects don’t like to be sold to when they’re not in the buying frame of mind. Positive reviews, especially those from connections, integrated right into local search results can be much more effective. What About Compliance Rules Against Testimonials? I know, I know. You’re worried about about Rule 206(4)-1 of the Investment Advisers Act of 1940, which prohibits use of testimonials. While that rule may pertain to LinkedIn Recommendations, it shouldn’t pertain here. That’s because LinkedIn gives you control over your recommendations; you could decide to show the favorable ones and hide the unfavorable ones. But Google doesn’t let you delete or edit any negative reviews, only address them in a comment. It’s a public site and what’s posted there is out of your control. Having a presence on Google+ doesn’t just help you get found for local search terms. If you’re writing blog posts and creating valuable content that is getting +1s and shares on Google+, you’ll get ranked better in personalized search results for people in your circles and extended circles (followers of your followers), but also for the general public. Since Facebook is largely a closed network, Google can’t see the majority of all the “liked” content. So while Facebook “likes” give you exposure within Facebook, they don’t help your content get found in Google Web searches. But with Google +1 button, Google sees these endorsements and learns which content users like. They can then use that information to provide better search results, and personalize those search results to more prominently display content that your contacts like. They have the recipe for effectively mixing social into search. And with over 70% of all web searches, they’re the dominant restaurant in town. Search engine optimization for local search terms is the most important online marketing task of any local business. Like many advisors, maybe you’ve spent lots of money over the years to build a fancy website, expecting to gain new business from the Web, but seeing little to no results. That’s because SEO is much more than just building a website. It takes time and expertise to know what terms your prospects are searching for and arrange your site content around those terms. But a Google business profile is like a free mini website in and of itself. By creating a Google+ business profile you can easily add photos, videos, and interact with clients and prospects. And how your profile page ranks in local searches is only partially determined by the authority of your website. Your Google+ business profile can still rank well, even if your website does not. Google only launched Google+Local on May 30, so very few businesses have many reviews. Advisors and other professional firms may have reviews ported over to Google+Local from Google Places, but those don’t have any of the aforementioned Google+ social benefits. Now, to review a business, users must create a Google+ profile, and I believe that is one factor that will help expand the Google+ user base. It is minimal work to set up a Google+ profile, and Google is making it clear that it wants Google+ to stay and those businesses that use it will likely benefit. So act now and don’t hesitate. Listen to my webinar below and learn how to optimize for local SEO. If you can bring in even one new client this year, it will be a good return on your time investment. But what if you can bring in 10, 15, 20, or 100 clients? This is so powerful that it can transform your business. 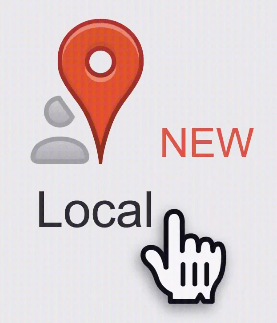 I believe that Google+Local will soon be the most important way for a local business to market itself on the Web. In the following video, I’ll teach how to do it right. Brien Shanahan is founder of SEO4Advisors, a boutique search engine optimization company dedicated to helping financial advisors and other professionals gain new business from the Web. He can be reached at bshanahan@seo4advisors.com or (516) 299-6063.